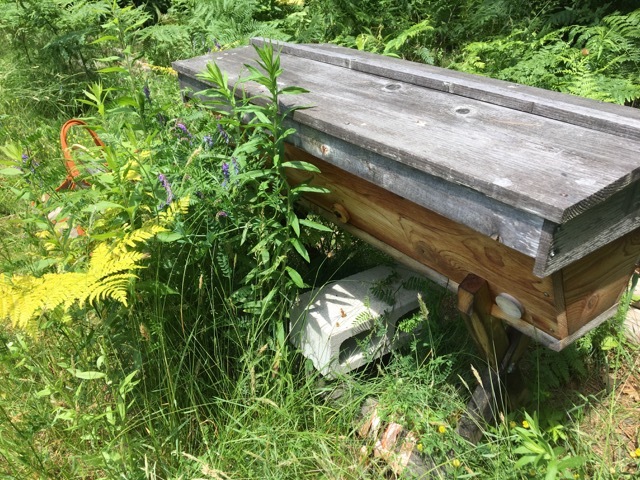 The last time that I was in the Orchard Hive, I saw a small and unmated queen. I only had a short glimpse of her before she was swallowed up by a crowd of bees. 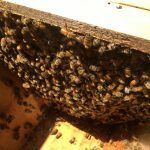 It has been a week and I am back in the hive to check if she has mated and is laying. 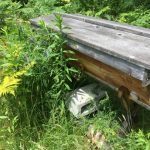 This is one of those times that I would rather not interfere and let the bees work it out on their own. 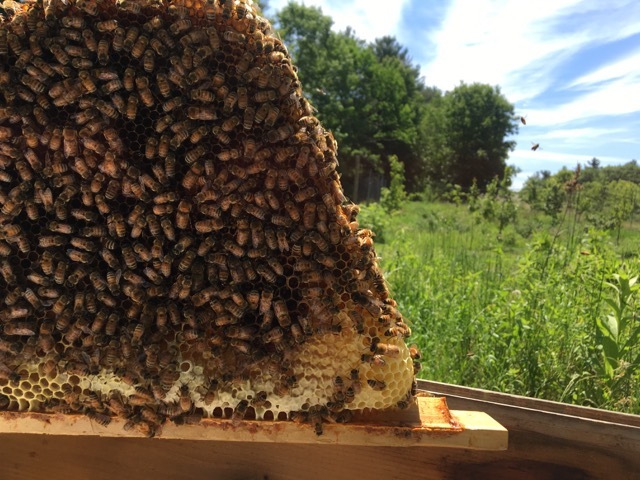 It would be much better for this queen to mate on her own and come back to the hive than for me to buy a queen for the colony. 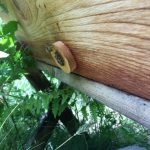 Once the hive was opened, I noticed that they are still not building as much as I would like to see them building. They have nineteen bars, two of them have no comb and eight of them have very small combs. At least they are starting to build more. 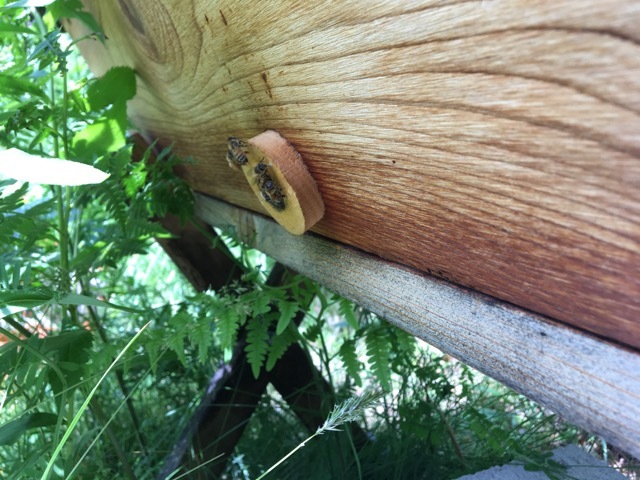 It may be because now they have a reason to build, I found the newly mated queen! She has been laying eggs for at least three days. Mother Nature knows what she is doing and I am so happy that I do not need to interfere! 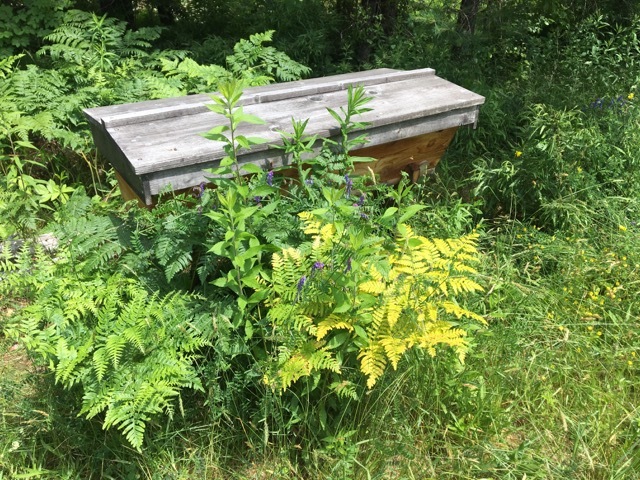 They are storing nectar and making honey. 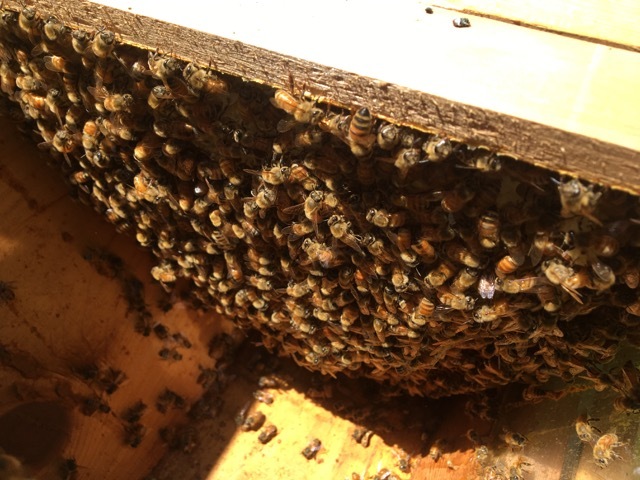 They have seventeen bars with nectar and fourteen of those also have capped honey on them. 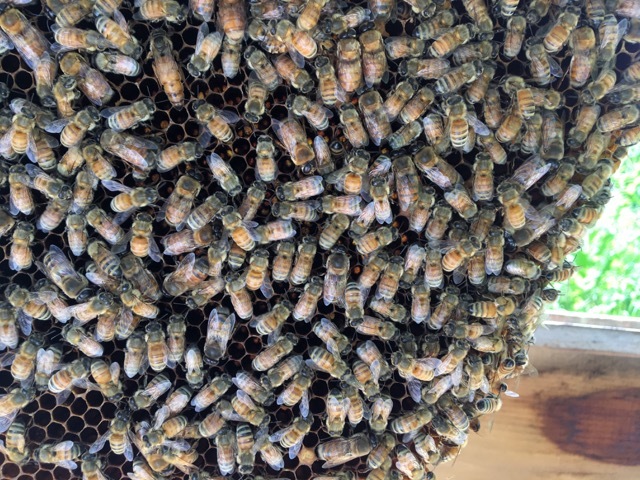 This colony has also stored pollen on four of the bars. There were three queen cups, but they were all empty. 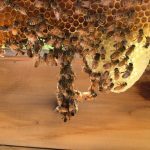 I am sure that this colony is very excited to have a new, healthy queen. 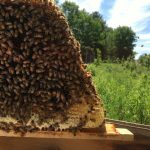 Having the new queen in the hive also led to the bees being very calm and easy to work with. When they were queen less, they were grumpy. What a relief! 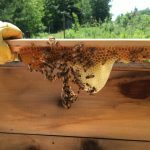 It is such a wonderful feeling that this hive was able to requeen themselves! Sometimes it is best to let them do their thing, their way. 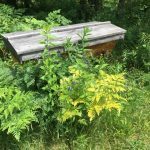 The bees have been around a lot longer than I have and they know what to do. 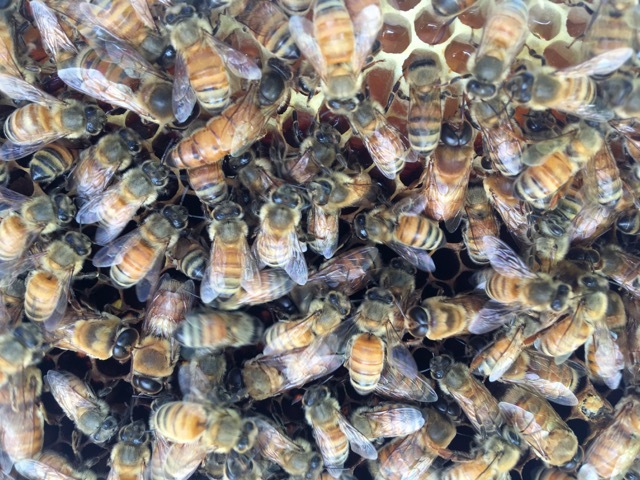 When a colony is queen right they are so much happier and easier to work with. 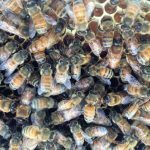 When talking with other beekeepers, I have been reminding them that if they crush all of the queen cells, their colonies may not be able to requeen themselves. 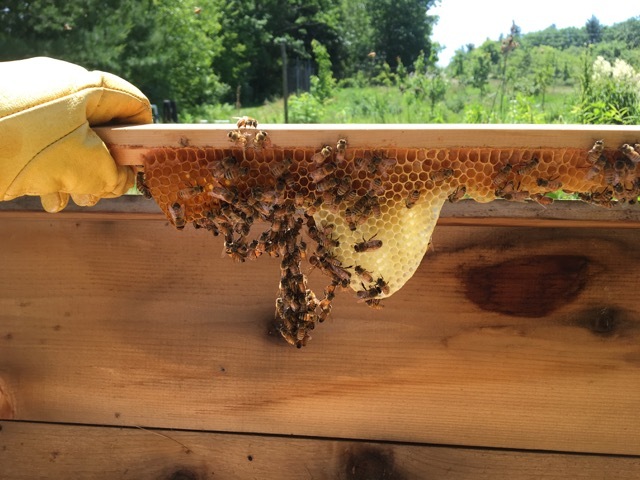 I know several beekeepers that make it a policy to cut out any queen cups that they see. 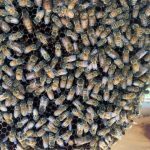 The issue with cutting queen cups is that the colony loses their ability to make a new queen and then the beekeeper will have to buy a new queen or use resources from another hive. Waiting and watching to see what happened was the best course of action for me. Since this colony is looking so good now, I will not bother them for at least two weeks. I want to give this new queen time before I disrupt them again. 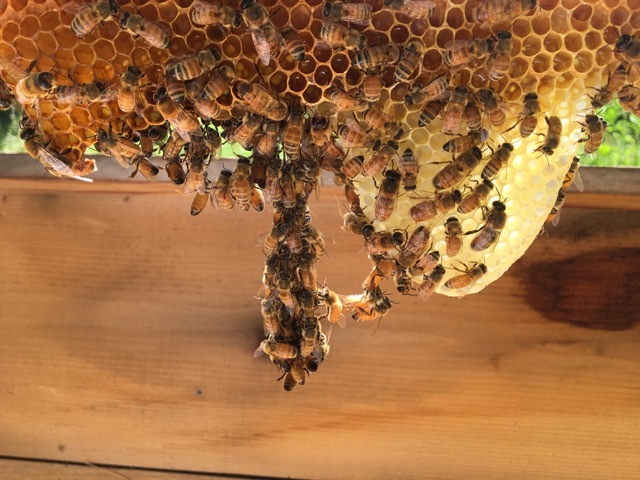 What a joy it was for me to see the new queen and see that she has been hard at work already!